Warning: The blurb contains spoilers if you have not already read the first two books in the series. The battle is all but over, and hope seems to be lost. Zoe and her fellow Resistance fighters are on the run, having lost their home, their protection, and their leader. They are outnumbered and outmatched by the powerful corporation that controls the world, and the cruel Chancellor is inches away from completing a scheme that would kill most of humanity. 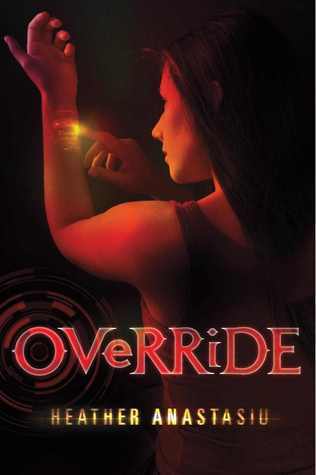 Zoe's only remaining option is to chase the impossible dream of upending the Link system, freeing the world from the hardware that controls their thoughts and emotions, and hope it will trigger a revolution. 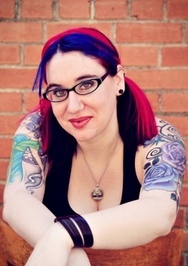 The plot requires a nearly impossible mission to infiltrate the dangerous Community, and it is a task that Zoe must unfortunately complete alone. With challenges and surprises at every turn, nothing goes according to plan. Adrien's visions of the future now show two possible outcomes: one in which they succeed, and one in which humanity falls. It all lies in Zoe's hands. 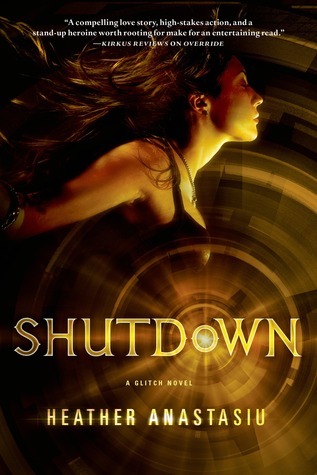 Full of romance, high-adrenaline action and shocking twists, Shutdown is a heart-pounding conclusion to an exciting sci-fi adventure trilogy for young adults. The thrilling conclusion to an action-packed sci-fi trilogy. I was running though the woods. The sunlight was bright. It made my eyes hurt. We shouldn't be here. But someone insistently tugged me forward, and I looked down to see a young man's hand dwarfing mine. I followed the line of his arm up to his body and face. One second it was my older brother Daavd, but the next moment the face shifted slightly to become Markan. He lifted his other hand to his mouth. "Shh Zoe, don't make a sound." I knew what came next. I knew it like a script I'd spoken too many times: me calling out to the Regulators, them chasing my brother to the ground in front of me, and the betrayed look on his face as he gazed at me in the last moment of his life. All my fault. Even as the dream played out, I struggled against it. My child's mouth opened to call out to the guard. I felt my desire for all the confusing and anomalous things to stop. But then I also felt the horror of it and clamped a hand over my mouth. This was my brother! I wouldn't! I wouldn't betray him again! But then the ground under our feet started rumbling, and the Regulators nearby found us anyway. We weren't in a forest anymore but were surrounded by a rocky terrain with giant boulders that were slowly closing in on us from all sides. 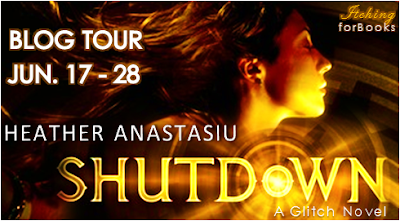 Heather Anastasiu grew up in Texas and recently moved to Minneapolis with her family. When she's not busy getting lost exploring the new city, she spends most days writing at a café or daydreaming about getting a new tattoo. 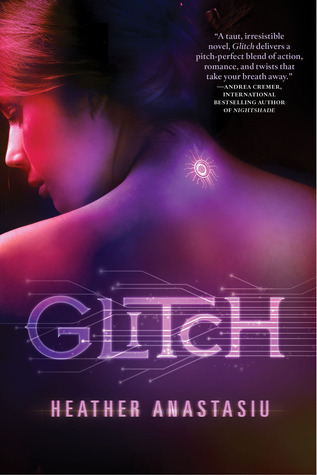 All three books in the Glitch trilogy! I haven't read these, but they sound interesting. Thanks for hosting this! I haven't read any of the books yet, but they're on my to-read list on Goodreads.